At Sony's E3 booth, they've got a PlayStation 4 on display and playable. You can't get to the console itself, but the controller is just hanging out, waiting for people to mess around with it. So that's just what we did. In the video above, I'll take you on a quick tour of the controller. I'm not the hugest fan of the PlayStation 3's DualShock 3 controller, but I really like the DualShock 4. The triggers feel great, and the controller fits into my hands well. Way to forge a piece of plastic, Sony. 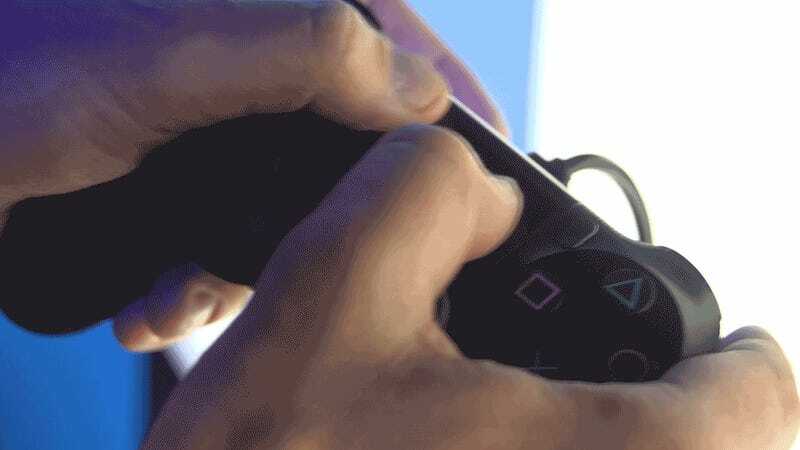 And now, because it seemed just weird enough when I watched this video, here is a gif of my thumbs being kind of overly familiar with the PS4 touchpad.